The Yankees have acquired Zach Britton from the Orioles, according to a report from Fancred Sports’ Jon Heyman. Baltimore will receive pitching prospects Dillon Tate, Josh Rogers and Cody Carroll from the Yankees in exchange for the 30-year-old reliever, according to a report from the New York Post. New York will pay Britton’s remaining $4.5 million salary this season, USA Today reports. Yankees infielder Brandon Drury, another rumored part of the trade, will not be dealt, Heyman reported earlier. He left Tuesday night’s game against the Rays after being hit in the hand with a pitch. The Astros and Red Sox had both previously been in contention to land Britton, according to an earlier report from MASN. The Brewers, Diamondbacks and Cubs, among other teams, also reportedly inquired about Britton. Britton has recorded four saves and holds a 3.45 ERA in 15 2/3 innings on the mound this season. 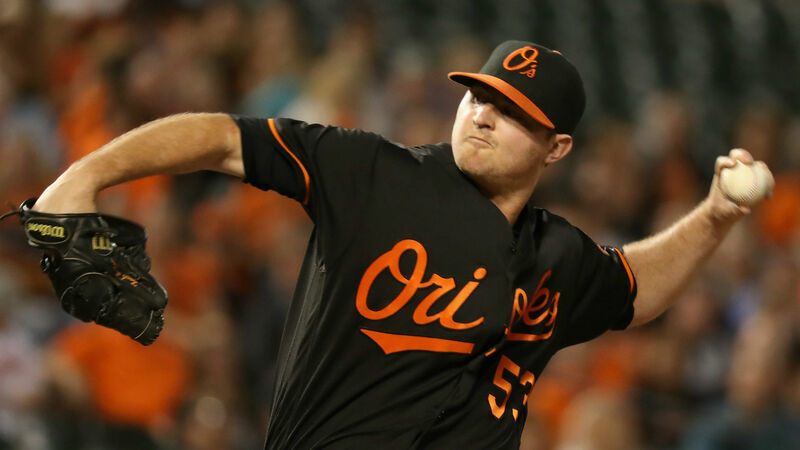 Britton missed the start of 2018 after he underwent surgery in December to repair a ruptured Achilles. He returned to the Orioles roster in mid-June.